Mark goes onto say that ultimately Astronomy is the study of space, and everything associated with it. People have been practicing Astronomy for thousands of years. Since the start of civilization, man has used the motions of the stars to work out the passage of time, and to confirm his location. The Greeks made huge advances in understanding astronomy, plotting the phases of the moon, paths of the stars, and discovering the first constellations but it was The Chinese and the Egyptians that both independently developed the 24-hour day. 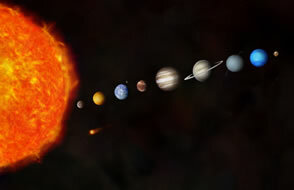 When Galileo first recorded the Moons’ craters, Jupiter's moons and Saturn's rings using a telescope in 17th century was when Astronomy really became well known. About this time Studies were made about gravity and the theory that all planets revolved around the sun, and not the Earth. Mark Tolner says that in the late 19th and early 20th centuries, Astronomers started creating the science of astrophysics, which is arguably the most important of the astronomic disciplines. The Advances that were made in space travel have saw the launch of satellites such as Hubble and Herschel, two enormous space telescopes that send back pictures of the furthest parts of the universe. Stars are still discovered by stargazers in their back yards due to the advances in telescopic equipment nowadays, and professionals and amateurs communicate on this subject regularly, far more than in other professions and hobbies says Mark Tolner.